The Friends Book Sale is operated by the Pacific Beach Friends of the Library for the benefit of the Pacific Beach/Taylor Branch Library. Book Sale items are located in the lobby of the Pacific Beach Library near the Reed Avenue entrance and are available for purchase at all times. On Mondays, Wednesdays, and Saturdays, the Friends organize a larger sale outside, on the plaza facing Cass Street. The outdoor book sale may be cancelled in cases of inclement weather, early darkness, or unavailability of volunteer staff. Please call the PB Library at 858-581-9934 with questions about the outside Book Sale's availability. The PB Friends Book Sale offers donated and withdrawn books, magazines, and videos to the public at very affordable prices. Most of the items in the Friends Book Sale are priced as low as $1 or $2, so the book sales are popular with both regular and occasional customers. Items available for purchase include a wide assortment of hardcover fiction and non-fiction, paperback fiction, mysteries, science fiction, children's books, humor, travel, reference, computer, business, cooking, history, psychology, biography, classics, audiobooks, music CDs, DVDs, and more. We have a very rapid turnover of inventory. As a result, new items are added daily. 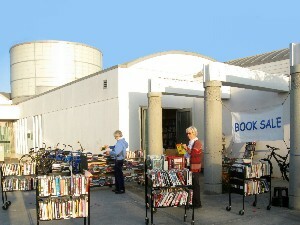 Purchasing books from the PB Friends Book Sale not only allows patrons to build their home libraries at bargain prices, but also directly benefits the operation of the Pacific Beach/Taylor Library. 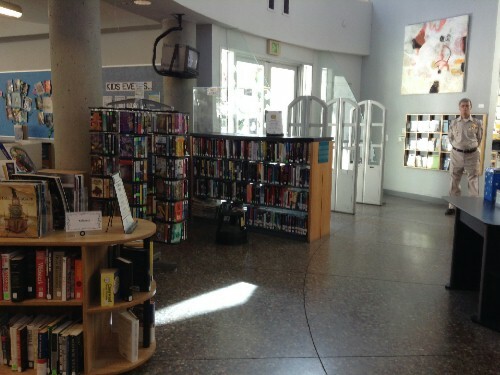 Since the PB Friends Book Sale is managed and staffed by volunteers, 100% of the bookstore's revenue is used to support the Pacific Beach/Taylor Branch Library. In fact, thanks to the City of San Diego's Matching Fund program, every sale is matched dollar-for-dollar by the City. This means that for every dollar you spend in the PB Friends Book Sale, two dollars are donated to the library. For questions about the Book Sale, please email the Book Sale Manager.